On Thursday, August 24th, the team at Fully Managed hosted a Summer Celebration at the Bard on the Beach Shakespeare Festival. 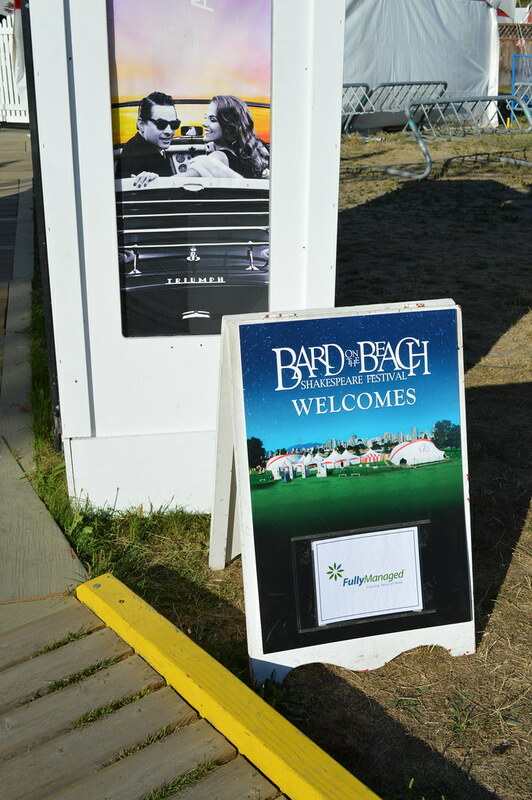 As the official Technology Partner of Bard on the Beach, we love being part of the Bard community and are honored to do our part to help this Vancouver tradition continue to thrive. Before the performance, we were joined by Christopher Gaze, Bard's incredibly charismatic Artistic Director, as he gave us an enthusiastic rundown of the play we were about to watch, A Winter's Tale. What followed was an absolutely incredible performance -- which came as no surprise considering the high caliber productions Bard continues to produce year after year. We would like to thank everyone for joining us, and give a huge shout out to the incredible staff and volunteers at Bard on the Beach for making the evening one that we will surely remember. To see photos from the event, take a look at the slideshow below. The Bard on the Beach season continues until September 23rd, with tickets available here.